DARTMOUTH, Mass. – Southcoast Health is proud to announce that David Gillespie, MD, has joined Southcoast Physicians Group as Chief of Vascular and Endovascular Surgery, and will see patients at 300A Faunce Corner Road, Suite 200, in Dartmouth. 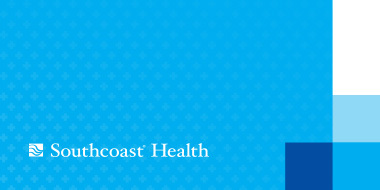 In his role with Southcoast, Dr. Gillespie oversees the region’s leading vascular surgery program, using advanced technologies and procedures to provide treatments for a variety of vascular disease such as artherosclerosis, amdominal and thoracic aortic aneurysms, carotid disease and varicose veins. Prior to joining Southcoast, Dr. Gillespie served as Chief of Vascular Surgery at the University of Rochester in Rochester, N.Y., and at the Walter Reed Army Medical Center in Bethesda, Md. He has also served as Consultant to the United States Surgeon General. During his five years at the University of Rochester, Dr. Gillespie developed a world-class service that offers both open and endovascular care of patients with aortic aneurysms, carotid artery disease, peripheral vascular disease, end stage renal disease, venous disease and mesenteric vascular disease. In 2003, he was awarded a Bronze Star for his care of wounded soldiers in Afghanistan and Iraq. Dr. Gillespie holds a doctorate of medicine from the Uniformed Services University, F. Edward Hebert School of Medicine, in Bethesda. He completed his residency in general surgery and a fellowship in vascular surgery at Boston University. He is a member of numerous professional and scientific societies including in the Society for Vascular Surgery, the American Venous Forum and the Eastern Vascular Society. Dr. Gillespie is Board Certified in general and vascular surgery. He lives in Bristol, R.I., with his family. Dr. Gillespie is currently accepting new patients. To schedule an appointment, call 508-973-2213.